Motel 6 Little Rock, AR, Hotels in Little Rock, AR. Welcome to Motel 6 Little Rock Airport, your best choice for an affordable hotel in Little Rock, Arkansas. 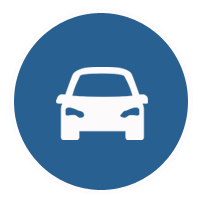 When you stay with us, expect free shuttle service to and from Clinton National Airport and so much more. We’re located just 1 mile from the airport off I-440 near the Clinton Presidential Library and within minutes of the many attractions and points of interest this city has to offer. 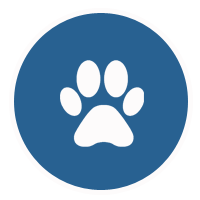 In addition to the free airport shuttle at pet-friendly hotel. 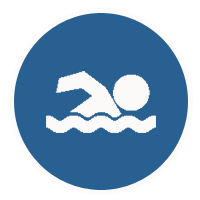 Additionally, we feature an outdoor pool and free wifi as well as guest laundry facilities, meeting space and 24-hour front desk service. Depend on us for kitchenette suites and accessible rooms if needed. Attractions and points of interest nearby include La Petite Roche Plaza where you can see the rock outcropping for which the city is named. You may want to see the neoclassical architecture of the Arkansas State Capitol, visit the Clinton Presidential Library or explore Historic Arkansas Museum. Art is on view in all season at Arkansas Arts Center and outdoor concerts are often available at Riverfest Amphitheater. Consider exploring Pinnacle Mountain State Park too. With so much to see and do and so many amenities, why not come and stay in affordable comfort with us? 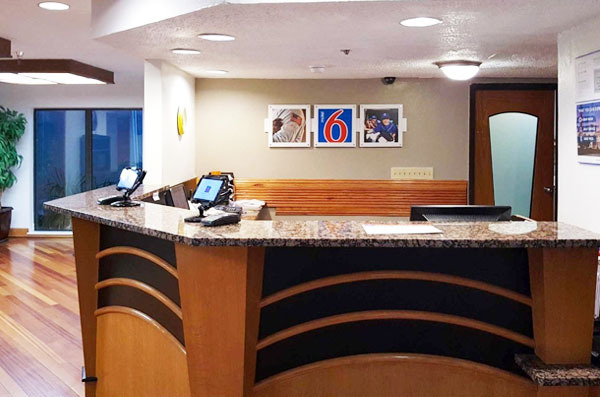 Business is just as important to our area as tourism, and at Motel 6 Little Rock Airport we value our business guests. 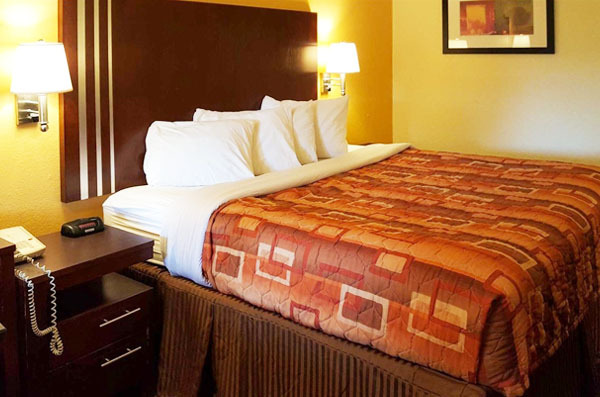 As your best choice of budget Little Rock Airport hotels and hotels downtown Little Rock AR business travelers can trust, you can depend on us for an excellent experience that will make it a true joy to return again and again. Ours is a simple and affordable hotel that's also right where you want to be to enjoy the many other attractions and points of interest in the area if you have some downtime, including Little Rock Riverfront Park. Why not book a room now? Doing so is a smart decision. Looking for Clinton Presidential Library hotels or perhaps Little Rock Riverfront Park hotels? Whatever your reason for coming to our exciting, dynamic and interesting part of Arkansas with your family, we're here for you at Motel 6 Little Rock Airport. 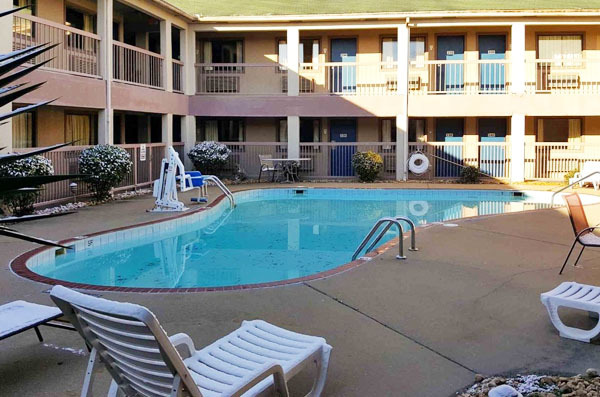 As the best of the hotels in West Little Rock and a sensible choice of hotels Downtown Little Rock AR travelers can depend on, our property is close to so many of the things you'll want to see and do in this area. Why not book now? We'll hold a room for you that's sure to be just what you want and need. We want to serve you. Considering options for hotels in Little Rock AR that comes at a budget-friendly price? With prices of everything as they are these days, you need to save any way to can. 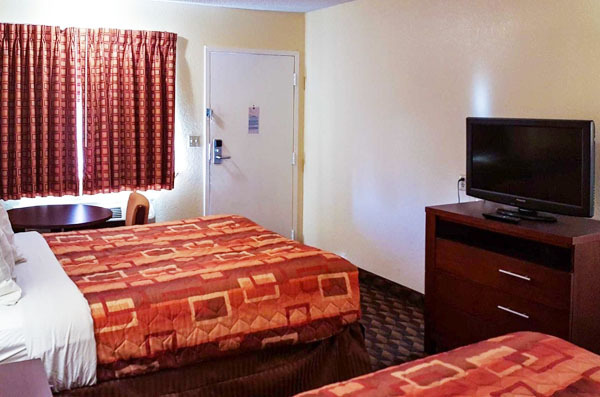 If you're looking for hotels near Little Rock Airport with shuttle service or even I-440 Little Rock hotels for car travelers that offer you an affordable hotel stay as well as the comfort and convenience you deserve, we're here for you. In fact, we're here no matter why you're visiting the area. We believe that you won't find any other hotel in the surrounding area that better meets your needs while being as easy on your pocketbook. Why not book now – while you're thinking about it? Little Rock LIT Airport hotels aren't all the same. But you already know that if you've stayed in the area before. The fact that you're looking for something better means you may have had a bad experience before. As the best of the motels in Little Rock AR, we want to serve you. Why not book a room with us and see how you can have a comfortable stay at a price that fits within any budget and still access easily the very best of what this area has to offer? And we at this Days Inn will provide a great experience you're sure to enjoy repeating again and again. We want to exceed your expectations. The Clinton Presidential Library is a beautiful campus worth exploring, no matter your political leanings. And it’s close at hand when you stay with us. In Riverfront Park, see the little rock outcropping for which the city was named. It’s nearby, and every visitor needs to see it. Get outside for outdoor recreation while staying at our Days Inn. Arkansas is known for the outdoors at its best. Downtown Little Rock is worth exploring whether you’re here for business or pleasure, and it’s easy to reach from our convenient hotel. 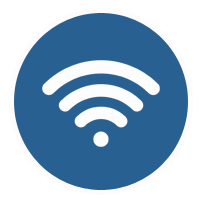 This Website Is Owned And Maintained By Motel 6 Little Rock Airport A Licensed User Of Certain Proprietary Trademarks And Service Marks Of G6 Hospitality LLC.